Anne Watson (née Armstrong) died at Hastings, east Sussex, on 1 June 1828, a year after giving birth to her only child, Johnny (above). She is buried in the church of St Mary in the Castle (below), where she is commemorated by a wall plaque. Since Anne died nine years before the the General Register of Births, Marriages and Deaths was introduced, there is no way to be sure about her cause of death. 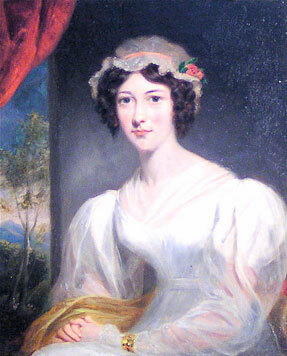 William Armstrong's sister, Anne, was born at the family home at Shieldfield, on the eastern edge of Newcastle, on 10 September 1802, more than eight years before the birth of her brother. Anne and William had no other siblings, and such a large gap between their births suggests that their mother (also Anne) may have had difficulty conceiving or carrying her pregnancies to term. With the help of her aunt Jane Potter, in 1809, when she was just seven years old, Anne wrote a diary chronicling a journey she had made with her family to the Lake District. It is full of wit and humour and shows a keen observation of the world about her. In 1826 Anne married William Watson, a dashing former soldier from Bamburgh, who had served under Wellington in the Peninsular War from 1812 to 1814, and had since decided to pursue a career in the law. 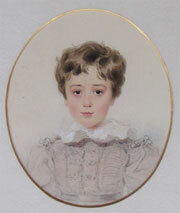 Their only child, John William Watson, known as Johnny, was born on 23 May 1827, but – to the great distress of her family – Anne herself died just over a year later, at the age of 25. Johnny Watson was a lonely character who suffered from depression in later life. Since William Armstrong of Cragside died childless in 1900, after a happy marriage lasting almost 60 years, Johnny Watson's only son – Anne's grandson – inherited his great-uncle's vast fortune. His name was William Henry Armstrong Fitzpatrick Watson-Armstrong, and in 1903 he became the first Baron Armstrong of Bamburgh and Cragside.